In presence of footballers like Cristiano Ronaldo, Wayne Rooney, Zlatan Ibrahimovic , a guy dominating football for so many years has to have something magical. He is unstoppable in his full stride and can make the tidiest of defences appear shambolic. These exclusive Lionel messi special Drak ivory chocolate bars, brought to you by Flaberry.com are up for grabs. In presence of footballers like Cristiano Ronaldo, Wayne Rooney, Zlatan Ibrahimovic , a guy dominating football for so many years has to have something magical. He is unstoppable in his full stride and can make the tidiest of defences appear shambolic. 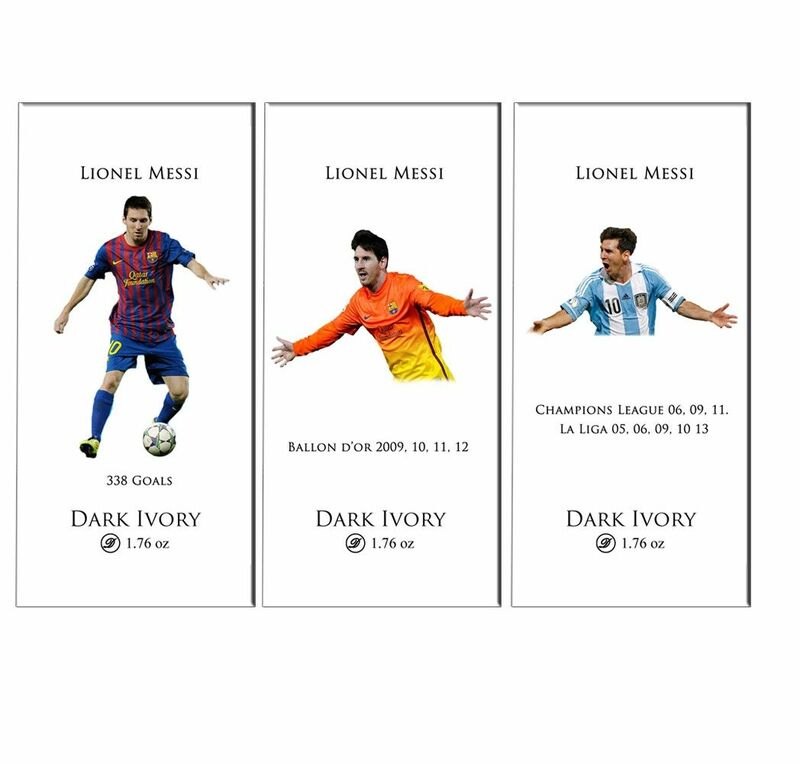 These exclusive Lionel messi special Drak ivory chocolate bars, brought to you by Flaberry.com are up for grabs.